When was the last time you visited your dentist near Oshkosh? If you say “yes” to any of these, don’t delay — it’s time for you to come see the team at Silver Creek Dentistry! By the time you’ve got an ache in one of your teeth, it’s past the right time to visit the dentist. We stress regular preventive appointments to keep problems like aches from happening in the first place — but they can still happen to the best of us. If you’ve got a pain or ache in your mouth, don’t wait to call Silver Creek Dentistry for the relief you need. If you can’t get rid of your bad breath no matter what you try, you should visit your dentist. Chronically smelly breath is a sign of gingivitis and gum disease, conditions that quickly worsen when left untreated. Gum disease is the most common cause of tooth loss in older adults. Your Oshkosh dentist provides periodontal therapy, so schedule an appointment as soon as you experience any of the symptoms of gum disease: bad breath, bleeding gums and tooth sensitivity are just a few. Oral cancer is a condition that’s far too often caught in its later stages due to a simple lack of awareness. Unfortunately, by this time chances of successful treatment are slim. You can protect yourself by benefitting from regular oral cancer screenings alongside your twice-annual dental checkup and cleaning. Adults who have one or more risk factors of oral cancer should certainly stay up-to-date — these include tobacco use, heavy alcohol consumption and prolonged exposure to sunlight. 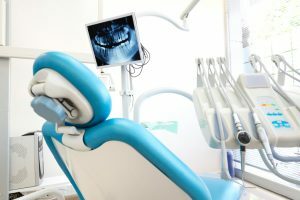 If your nerves or fear prevent you from visiting the dentist to receive the care you need, it’s time for you to learn about sedation dentistry. At Silver Creek Dentistry, we are happy to be able to offer our patients three options to make their treatment as comfortable as possible: nitrous oxide (laughing gas), oral conscious sedation and IV sedation. The one that’s right for you will depend on the level of your anxiety and the treatment being performed. Sedation is also wonderful option for those wishing to undergo longer dental procedures in just one visit. We recommend twice-annual checkups and cleanings at Silver Creek Dentistry for a reason — and it’s not just because we love to see your smile. These visits are absolutely crucial to preventing problems like decay and infection, and correcting them early when they do get the chance to form. Increase your oral health by staying on top of your visits to Silver Creek Dentistry! Call us to schedule your appointment today.